-- and “Thelma and Louise” on horseback! Our co-creation, “RITES OF PASSAGE” is this film. And--I am very pleased to let you know that I and my writing partners Mark Schwiesow and Monika Wikman have won TWO ScreenWriting Awards at the Moondance International Film Festival in Boulder, CO. We “walked the red carpet” on September 26, receiving the SANDCASTLE AWARD FOR BEST FILM-WRITING COLLABORATION BETWEEN WOMEN AND MEN, and the COLORADO OCEAN AWARD FOR BEST SCREENWRITING WRITTEN BY COLORADO ARTISTS. 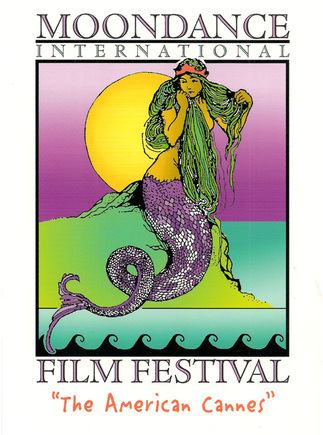 Named the “Cannes of American Film Festivals” and voted “One of the Three Most Influential Film Festivals in the World,” Moondance (www.moondancefilmfestival.com) was created to honor mature, responsible film/video/music artists. 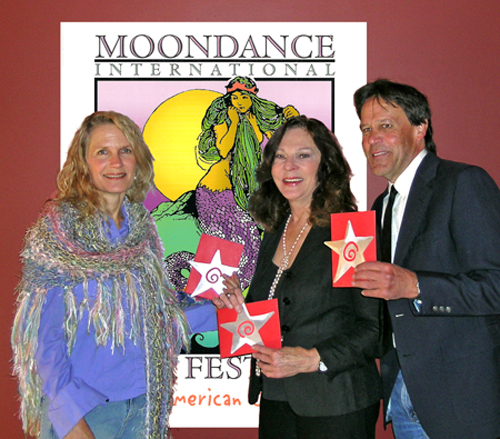 Moondance is also designed to advance women's concerns and vision, to celebrate women and men in creative collaboration, global awareness, ecology and equality through cinema, television, documentaries, literature and music. Based on a series of true events experienced by the two female co-writers. A celebration of life becomes a struggle for survival in the mountain wilderness of New Mexico. Childhood girlfriends, Cass and Anna reunite on a horse trip to celebrate life and the remission of the deadly cancer that was supposed to take Anna's life. On their return to the “abandoned” ranch where they left their truck, they find a camp of drunken cowboys gathered to hunt, rodeo and welcome sons into the fold of manhood. Cut-off from civilization, the women are forced back into the mountains on their horses with five men and their darkly obsessed leader giving chase. As Cass and Anna stand their ground to protect themselves and their horses, the tension escalates into pack mentality. What begins for the men as a drunken impulse explodes into a vendetta. Possessed by the need to have the last word, the cowboys are determined to track and hunt the women down. In a harrowing and heroic journey Cass and Anna must flee, then face their tormentors. On horseback, Cass and Anna enter both the Inner and Outer Wilderness. Set against the magnificent backdrop of New Mexico's Sangre de Cristo Mountains, feminine resourcefulness and Nature's protective spirits guide the women in overcoming impossible odds. They must win both their survival and—ultimately--their transformation.